A combination of our Best products! Human growth hormone can turn back your body’s internal clock, helping you rapidly build muscle, slash fat, and increase libido, all while sending energy levels through the roof. But when it comes to discussions on HGH, there are often more questions than answers. 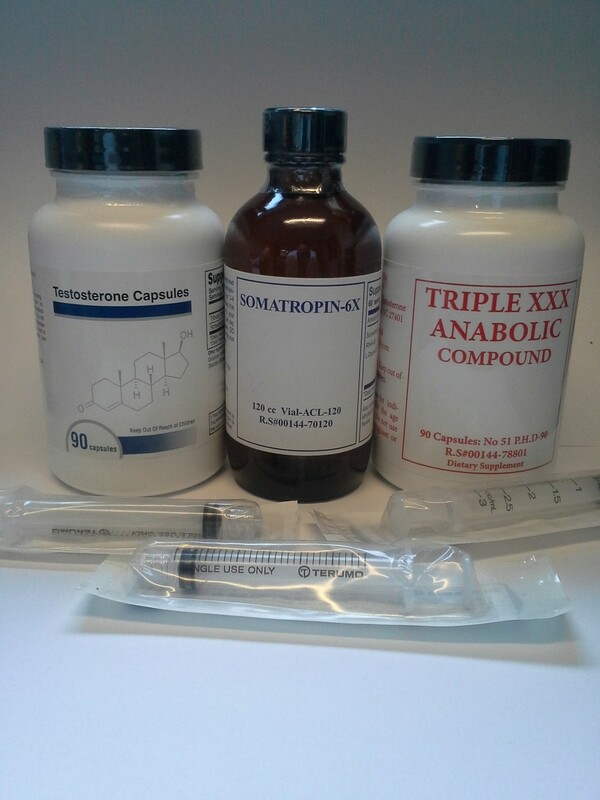 To help you decide whether you need HGH, check out our straightforward Q&A, which answers some of the more commonly asked questions and learn how you can boost your own natural levels of this powerful anabolic hormone. The body naturally produces growth hormone (HGH or simply GH) in the pituitary gland, and, as its name implies, it is responsible for cell growth and regeneration. Increasing muscless and bone density are impossible without GH, but it also plays a major role in maintaining the health of all human tissue, including that of the brain and other vital organs. When secreted, GH remains active in the bloodstream for only a few minutes, but this is enough time for the liver to convert it into growth factors, the most crucial of which is insulin-like growth factor-1, or IGF-1, which boasts a host of anabolic properties. Scientists began to harvest GH from the pituitary glands of cadavers in the 1950s, but didn’t synthesize the first HGH in laboratories until 1981, with its use as a performance-enhancing drug becoming popular shortly thereafter. HOW MUCH GH DO I PRODUCE NATURALLY? Healthy adult men typically have just less than 5 nanograms per milliliter circulating in the blood. Healthy females can produce about twice that amount for child-bearing purposes. Levels for both sexes peak during puberty and drop sharply starting in the early 20s. HOW CAN I LEARN IF I HAVE A GH DEFICIENCY? Ask your doctor to perform a GH test. You’ll need to fast for a simple blood test that is not unlike the one administered during an annual physical. WHEN CONFIRMING YOUR ORDER AND THE SALE OF A PRODUCT OR SERVICE YOU WILL BE GIVING PERMISSION TO RECIEVE UDATES VIA EMAIL ON NEW PRODUCTS AND SPECIALS AND GIVING PERMISSION TO JOIN NETWORKING EVENTS AND FREE WEBINARS . THS IMPLIED PERMISSION IS THE STANDERED IN SIGN-UP TOOLS EMAIL PERMISSION POLICY APDATED JULY 9,2018.